Tops B.O.B. Hunter. Brothers of Bushcraft. 9 3/4" overall. 4 5/8" 1095 high carbon steel blade with partial black traction coating and a modified Scandinavian Grind which is very effective for carving, skinning and other general woods work. Thumb ridge. Hardened to 56-58 HRC. 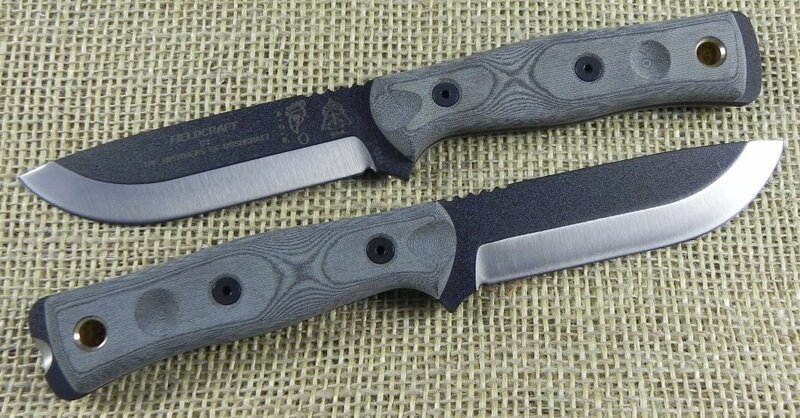 Black linen micarta handles. Handle features a divot that can be used as the socket for the fire bow drill method. Finger guard. Lanyard hole. Pommel features a scraper specially designed for striking Ferro rods in a safe and efficient manner. 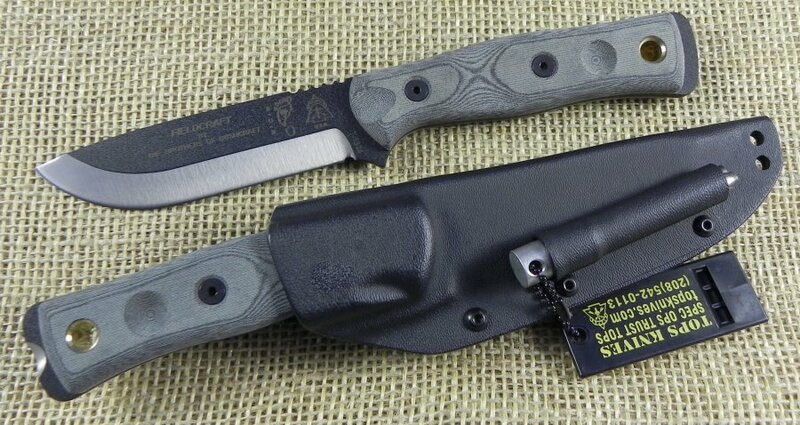 Black Kydex belt clip sheath with a built-in Ferro-rod attachment point. Includes fire starter and survival whistle. Certificate of Authenticity.